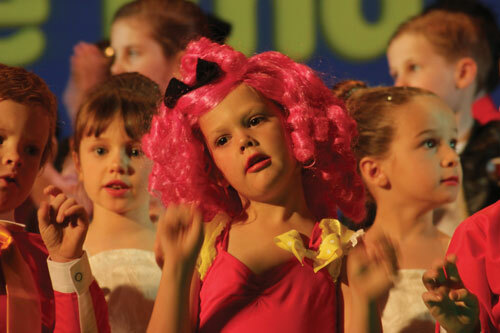 How does a school of the air prepare for a whole school musical production? One of the 6 key values of our school is OPPORTUNITY. We live this value through providing, creating or facilitating opportunities that isolated students may not ordinarily access. The opportunity to be involved in a full scale musical production is not something every child will have in their schooling life. However, if you are a student of the Longreach School of Distance Education, 2016 was the third opportunity to be involved in a musical. 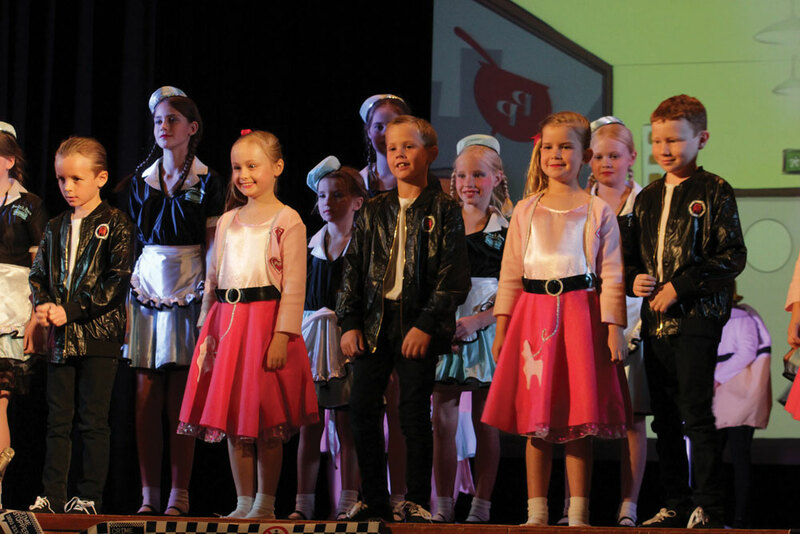 In 2012 we held our first musical production, ‘Kids in Space’, 2014 ‘Kids in Paradise’ and 2016 ‘Porridge’. So how exactly how does a School of the Air prepare and put on a musical production of this scale? Firstly, you need someone on staff with an absolute passion for the Arts with creative ideas and talent for dance and performance to take on the role of Producer, the pivotal person of the production. Secondly, you need to live and breathe our school motto – Effort Conquers Distance and thirdly you have to have a great team behind the scenes. Our 2016 team included world-renowned actor and director Sean Dennehy (actor, producer, author, director) the very versatile Wes Taylor (acclaimed guitarist, singer, composer and our sound and light specialist), every member of our sensational school staff, committed parents & home tutors and of course fantastic kids. It takes us 12 months to prepare for our one night only performance. Following is a snapshot of the steps we took to produce our 2016 musical production ‘Porridge’. Term 1 was devoted to auditions for the cast roles – all 44 of them in ‘Porridge’. As you can imagine, the audition process was somewhat different from what you would find in a regular school. A call out went out across the 403 000 square km geographic catchment area and the students went to work, selecting the role they wished to play, rehearsing the dialogue, sorting out their own costumes and props at home and finally making their audition video. Some students uploaded the audition to Utube, others emailed their auditions, but those who are restricted by satellite speeds and bandwidth issues had to record and snail mail their USB in. While students were busy preparing their audition the choreographer was busy designing the choreography for each piece of music. Term 2 & 3 - At the beginning of Term 2 the cast was announced. Scripts were posted out and the cast began to learn with their lines. As each year level came in for Minischool over Terms 2 and 3 they were taught the words to their year level song and taught the dance steps to their year level dance. After the mini school, the choreographer filmed and produced a teaching DVD. This DVD was posted out to students to practice dancing and singing at home. Also over Terms 2 and 3, weekly one hour on-air rehearsals were held with the cast. In the last week of Term 3 we held a 3-day school musical workshop at school with all students, both cast and chorus, in the production. Sean Dennehy flew out from Brisbane to coach and direct the cast. They had by this time learnt most of their lines so they started to bring the script to life, worked on building character and movement and they had their first taste of rehearsing on the Civic Centre stage. During the 3 days, the chorus students rotated through various Arts activities associated with the musical –– they created doll shape representations of their costume, because at this stage they had not seen their costume. Costumes were still being sourced and purchased from all over Australia and the world. As well as art activities, the chorus practiced their class song, the whole school songs, they played drama games, practiced their year level dances and learnt the finale dance. We had one day at the civic centre for all students to become familiar with the stage and allow the director, producer, sound and light manager, props managers, stage managers and crew to do their work. In the background there was of course much happening –props were being made and sourced, makeup coordinators and artists were planning, designing and purchasing make up, costumes were being purchased, handmade, altered, ironed and bagged individually with each child’s name. Term 4 arrived – the cast continued practising their lines in on-air sessions and all the students rehearsed their dances in front of the TV at home. Three weeks prior to the production we held a Cast only 3 day Camp. Sean Dennehy visited again and Wes Taylor also came up for Brisbane to plan out the sound and light requirements. The day prior to the BIG night, is our only and final rehearsal day. We had one dry rehearsal with all students from start to finish in the morning and we had one full dress rehearsal in the evening with full lights and sounds. Our LSODE students received a standing ovation and dazzled their full house audience of 600 with their X Factor performance. The audience got to see firsthand what Excellence in Education for Isolated Families looked like, felt like, and sounded like because it was effort that conquered distance.